My Bansko New Year Message from the Chalin Valog chair lift.Click play to view. 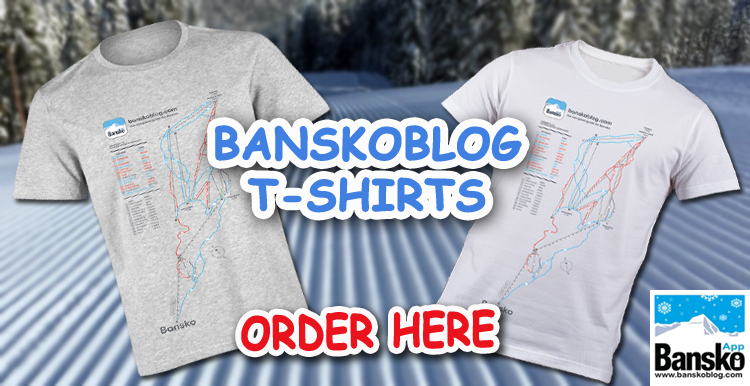 Thank you for visiting my Bansko Blog web site and I hope you have found something interesting here this year. Now the season is in full swing, there are many more reviews on the way for site visitors. Unbiased Bansko information is always good. But it is now a necessity here, because the tourist scene has changed so much in just one year. If someone is trying to get you in, then you could end up hoping to get out – fast. Good places, generally, do not need to employ people to persuade you to enter. Often the better places are full of locals, who pay close attention to price, or with visitors who know. The best places get booked up. The current mehana problem has arisen due to owners finding it an easier money making proposition to rent their traditional mehanas (tavern style restaurants). Typically the operators are the Sunny Beach/Black Sea restaurateurs – rather than owners. Many are not family owned and run any longer. So what was good last year, may well not be in 2009. By the way – if you register today, you’ll receive by email, latest reviews of the places worth trying. 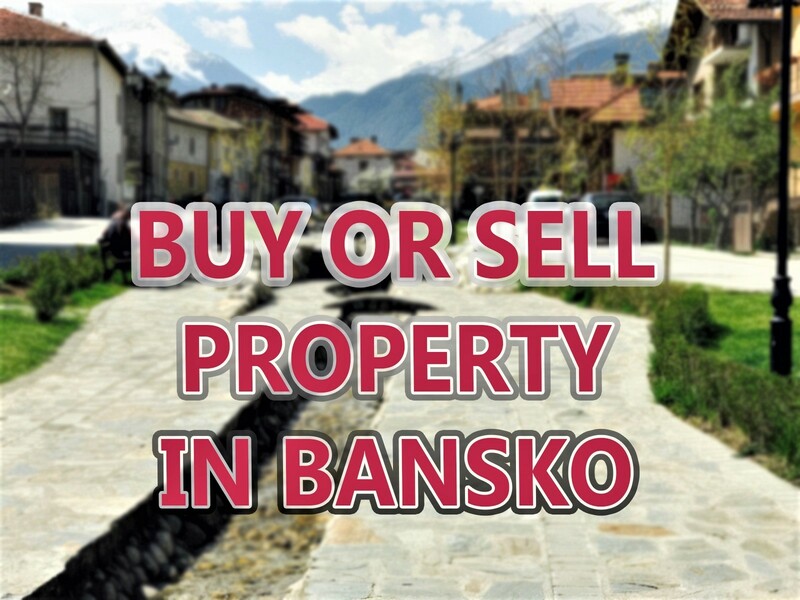 There are hundreds of new businesses in Bansko and now, more than ever, web sites like this, will help us get the very best out of Bansko. 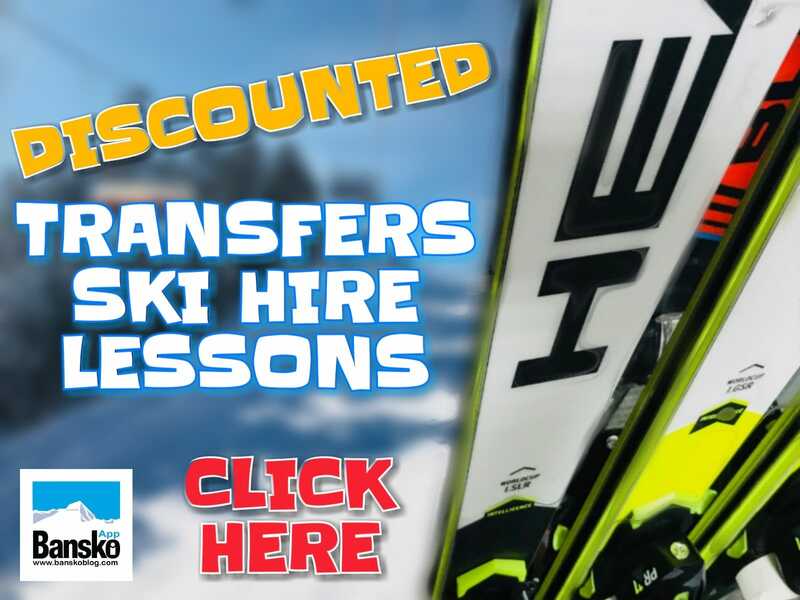 From ski/board hire, lessons, entertainment, accommodation, transfers, shopping… its all changing at a fast pace. Many of the Bansko changes are very positive. Today, I think most people would agree that the previous building site feel is much less in evidence. The facilities, accommodation, bars, restaurants and general choice are improved. Even service standards are better as we enter 2009. Take care out the mountain. I ski first thing in the morning but, as it get busier on rather thin snow with some rocks now showing, its worth being realistic about our abilities. I met up with the doctor, in a kind of unplanned way, in the Medical Centre situated in the Bansko Gondola station. Entrance is on the west side of the building. The doctor and his team have been very busy. Even by lunchtime last Saturday, there were three broken arms, one dislocated shoulder, cracked rib and broken nose (my son) and that’s only what he has dealt with. But all this was before the prime time, four o’clock, accident rush. The “one more last run of the day”, tired, out of practice, on ice, on busy slopes, will deliver to the Medical Centre a load more injuries. In fact some patients of The Medical Centre are not skiers – just slipping on icy pavements is a trap for all. The Medical Centre is well equipped with X ray, and the doctors and nursing staff deliver excellent care. However, it’s not a hospital. You go to Razlog for this. And you may wish you never have visited this hospital. A Bansko hospital is a few years away, or so I’m told. In early 2009, I will examine what exactly the Bankso lift pass insurance covers you for. Insurance is automatically included in your lift pass price. But make sure you have full winter sports cover, as you will not be covered for extensive search and rescue and medical treatment. Nor for repatriation which was being undertaken for a man who had badly fractured his hip last week. This required transfer to Sofia, nurse flown out and special flight back to the UK. Expensive stuff. The slopes are icy right now, especially later on in the day. If you don’t already, how about wearing a helmet? Be early for the lift. Avoid the queues. The picture above showing gondola lift queue, was taken on Monday 29th December at midday. But how about taking the blue run down to Chalin Valog? If you are a competent rider / skier then enjoy the deserted black run shown above. No queue for lift. The picture above was taken Monday 29th Dec 2008. No amount of the excellent snow making in Bansko, makes up for the shortage of early season snow. More is on its way. In the meantime please take care. Many visitors come to the mountains to relax and enjoy the ambiance of an old mountain town, to party or, lie today, just to spend the New Year with good friends and family. Bansko delivers this better than ever before. The view of the main Pirin street above and below was taken on Monday. The ice skating ring, near the Strazhite Hotel and Mountain Residence 3, is popular and is surely another great way to get that feel good feeling before the New Year celebrations. The recent fine weather has made for some nice views, so I’ll sign off 2008 with this mountain view. Thank you for reading, listening and watching in 2008. And Here’s To Happy Days In Bansko During 2009. As always, your comments are really welcome and thank you to those who have sent me emails and comments during 2008. * “Black Sea Sharks” is a metaphor for the the opportunistic entrepreneurs renting premises and over charging. Generally they hail from Bulgaria’s Black Sea coast.